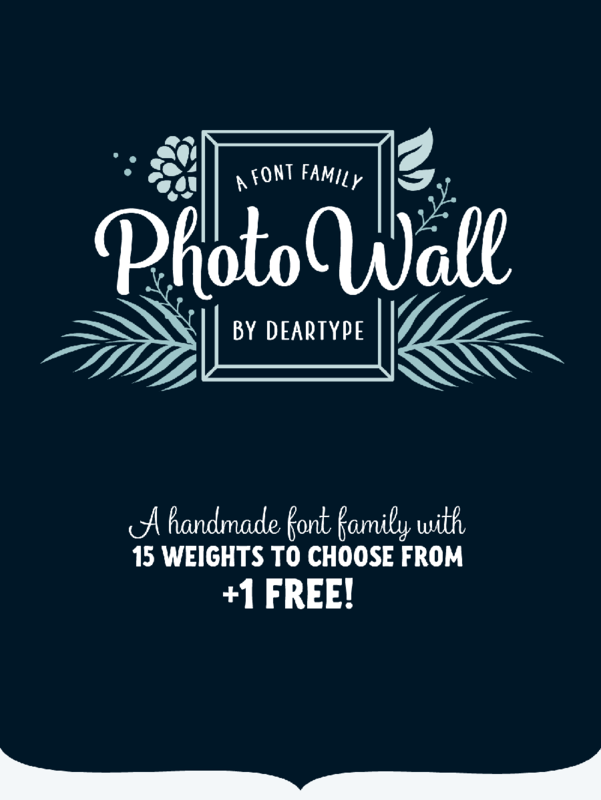 PhotoWall Font Family free demo is the part of a casual, connecting script in four weights with lots of swashes, ligatures and alternates. Today we can have PhotoWall Shadow, so you can give a shot on how cool these typefaces is. PhotoWall is perfect for logotypes, posters, cards, menus, product packaging and other printables, as well as web applications. It is friendly and lovable, fresh and fun to work with. 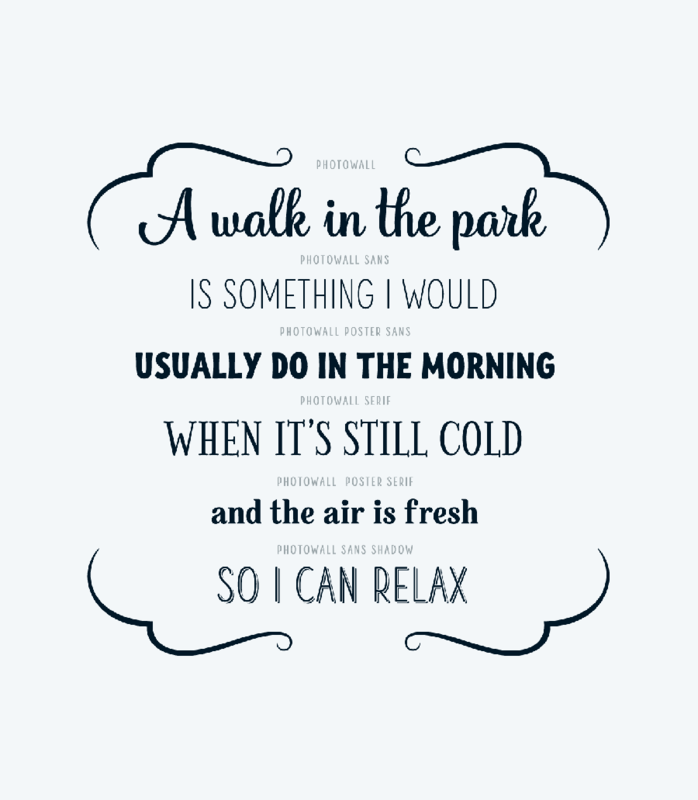 Thanks to DearType for providing us this beautiful free demo. Create more beautiful branding using the full version of photowall. So, if you like it make sure to check it out and have fun creating beautiful design. Also the complete version comes with an comprehensive package of complementary fonts and a bunch of frames, borders and other design elements that will help you get creative.